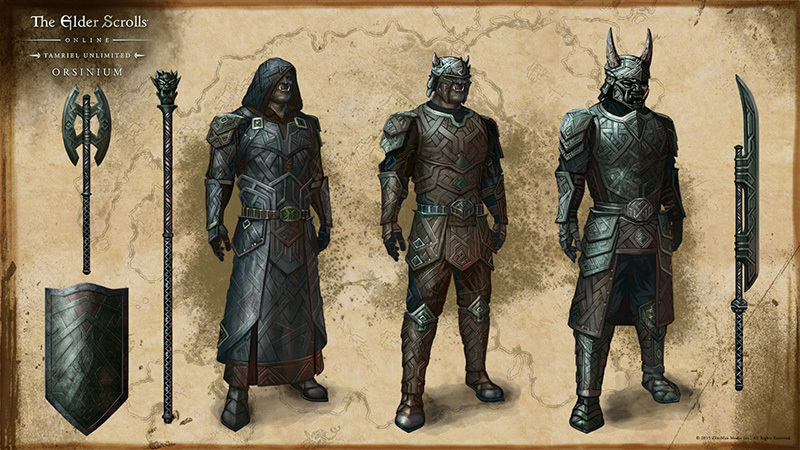 Ancient Orc is a new style coming with the Orsinium DLC in November 2015. The pages of the Ancient Orc Crafting Motif are split between the enemies in Old Orsinium and Rkindaleft, with each Public Dungeon having the chapters that the other does not. The enemies in these Public Dungeons have a small chance to drop a Chapter and an extremely rare chance of dropping the entire Ancient Orc Motif. Cassiterite Sand, the Raw Style Item needed to craft in the Ancient Orc Style, can be found in resource nodes all throughout Orsinium. The greater your knowledge of the Ancient Orc Style, the more likely you are to find Cassiterite Sand. Once you have ten units of Cassiterite Sand, you can refine them at any equipment crafting bench into Cassiterite, used to make Ancient Orc items. This refining process does not bind the Cassiterite to your account.